THE OFFICE REACHES OUT ON GIVE & GAIN DAY, 19 MAY 2016 THE Onederworld in India: Latest news from Barind! 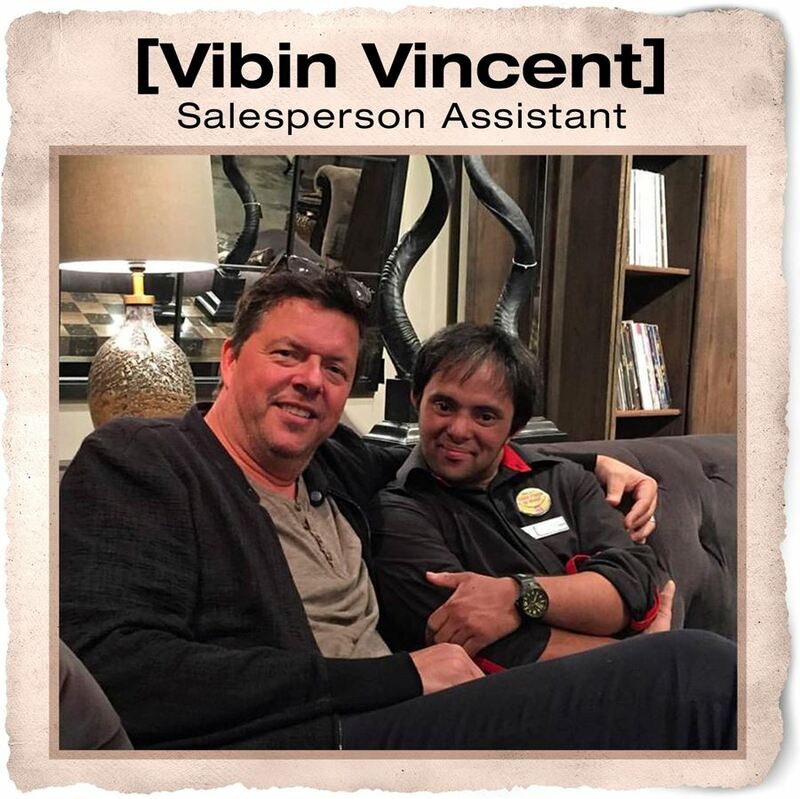 Vibin Vincent, an Indian national with Down syndrome, joined THE One Outlet team on 11 November 2012. Vibin’s father heard about us when his son appeared in a short film and Ashraf, a co-actor, suggested getting in touch with THE One since we hired individuals with special needs. As it turns out, Ashraf also happens to work for our warehousing company and so volunteered to pass on Vibin’s résumé to our Logistics Manager, who then gave it to our Talent Department. Vibin’s work experience and training was so impressive that we immediately offered him the position of part-time Salesperson’s Assistant at our Dubai Outlet store. When we closed THE One Outlet in May 2015, Vibin transferred to our FUSION by THE One Al Quoz store, Dubai and we are pleased to report that he is doing a superb job, working five days a week for five hours a day. Outside of work he enjoys watching movies, dancing and playing sport.